We are always proud to support your tournaments. Therefore, here we have a few impressions of the sponsored events for you. The ClawCon is a Midwest Gaming Convention in Missouri on 7th and 8th October. It was the first event. On the two days they had a Warhammer 40k GT, Kings of War Regional Qualifier, Bolt Action, Magic The Gathering PPQT, Blood Bowl and X-Wing. It’s for a good purpose, too, because 100% of the proceeds go to the local Non-Profit Kitten Division Animal Shelter. On 16th and 17th September was the third edition of Underground Cup in Berlin. The Blood Bowl tournament is organized by the Berlin-Brandenburg Blood League. Besides the Underground Cup they started the tournaments Preussen Bowl and X-Mas Bowl, too. Flying Monkey is a Miniature Gaming Convention with Tournaments in Wichita, Kansas. They have serveral games like Warhammer 40k, X-Wing, WarmaHordes, Blood Bowl and more. In addition to the tournaments, they have a Miniature and Hobby Showcase. From 2nd to 4th september was the second edition of this event. Irish Gauntlet is located in Malahide, Ireland, in northeast of Dublin. It’s Ireland’s only PP invitational sanctioned event. On the 5th and 6th August 2017 they did a 64 player Masters event. Especially the Irish Hospality is convincing. Within activities they had a Warmachine/Hordes tournament for 32 players, a game masters rpg contest, speed painting miniatures, Krosmaster, Guerra de mitos, Infinity ITS for 20 players, X-Wing for 12 players, Euphoria for 12, command and colors, live role playing, videogames, softcombat, jugger and demoing of several games, from boardgames to miniatures. Thank you for photos and to be a part of it! 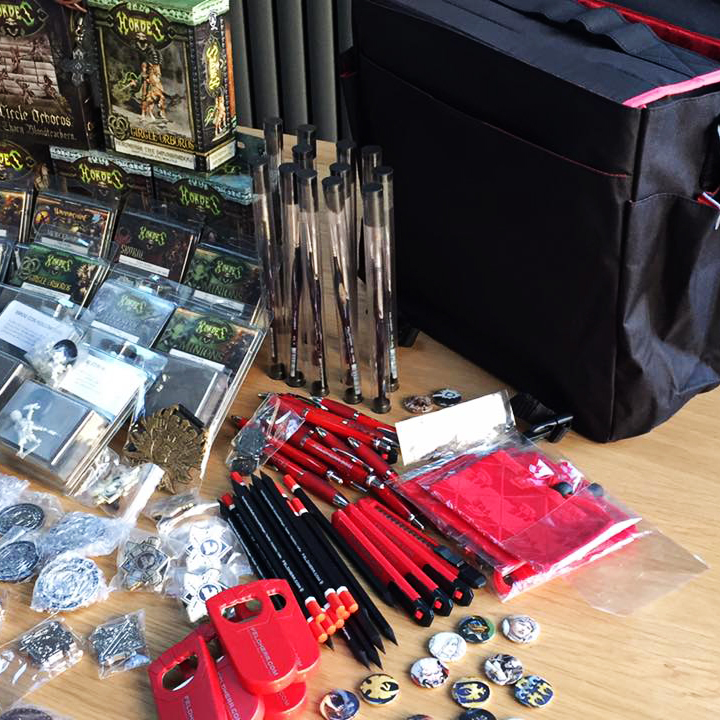 Next Post:How to organize the miniatures and game equipment?